Manufactured under strict quality controls and tested before dispatch. Produce high quality, more natural light which is less stressful for livestock and easy to work in. 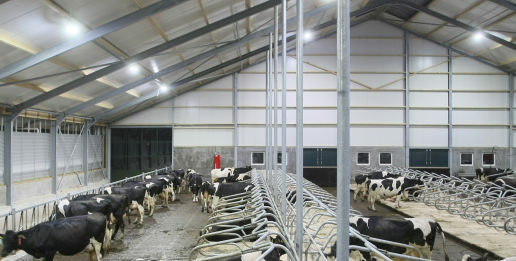 A recent study by Michigan State University found that the switching the lights in dairy sheds from fluorescent to LED lights increased milk yields by up to 8%. By replacing a typical 400W sodium light with an equivalent LED light which is on for 16 hours a day we estimate you will save around £170 per year PER LIGHT in electricity at current rates. LED lights are eligible for the Enhanced Capital Allowance scheme which allows businesses to write off 100% of the cost in the first year to help cash flow. Give us a ring if you'd like more details. We have a comprehensive range of switches and controllers, including dimmers and timers, to help save even more energy. Please call us to discuss your exact requirements. the energy saving you can expect. 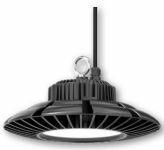 Exact requirements will depend on whether you want to light for increased yields or just for energy and maintenance savings. We were the first people to sell LED lights for dairy cows in the UK and have six years of experience designing successful installations. We have reference sites of satisfied dairy customers throughout the UK. We are really pleased with the lights from Intershape. It has transformed our cowsheds and the cows seem very relaxed.